PNP Plastics Limited is a plastic injection moulding business based in the heart of the Cotswolds. PNP Plastics have an array of branded products in their portfolio covering Game Guard, PNP Railways and Ersatz Eggs. This particular challenge was for their high quality dry wipe whiteboards, Wedge Whiteboards. They needed an ecommerce website targeted to multiple sectors. When Wedge Whiteboards approached us it was briefed as a simple website redesign project but after only one meeting with the team at PNP Plastics it was apparent that this project needed some more strategy behind it. 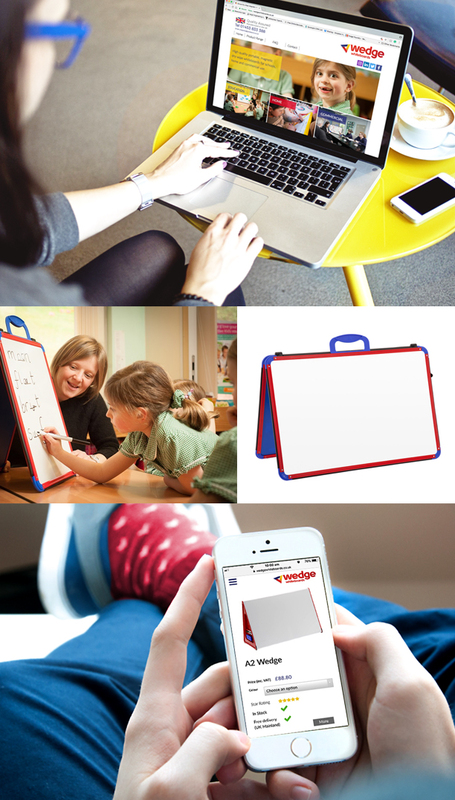 Wedge Whiteboards is a premium/high quality product with a diverse target audience. The product appeals to schools, homes and businesses alike and it was due to this vast target market that we knew the messaging around these whiteboards was going to be different depending on who they were talking to, it would never be the case of ‘one size fits all’! It was decided that PNP Plastics needed some strategy work around the product, how their current website was working in terms of functionality with the shop facility, who their target market was and how they should talk to each audience type, what was the goal of the website - just a presence or to increase sales? It was only after this strategy work that Wedge Whiteboards had clear audience targets, we worked through how they should talk to them and what products would appeal to them. It was at this point that we decided to split their website in three effectively, one website that would filter the audience from the offset and take them through a journey where Wedge Whiteboards were answering all the buyers questions as they click through the website which would result in a online purchase. There were many phases for this website project from wireframes, content generation and photography to design and development. 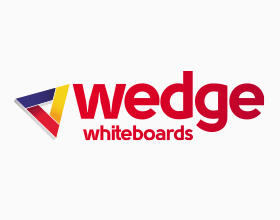 Wedge Whiteboards now have a website that is able to talk to completely different target audiences, ensuring user journeys for each market is simple and easy to navigate. Whichever sector they choose they would be in a site that was talking the right language, offering the right products, has the right questions with the right answers and a shop that is easy to use. On the back of the website they have now tapped into the world of social media which is working really well for them.